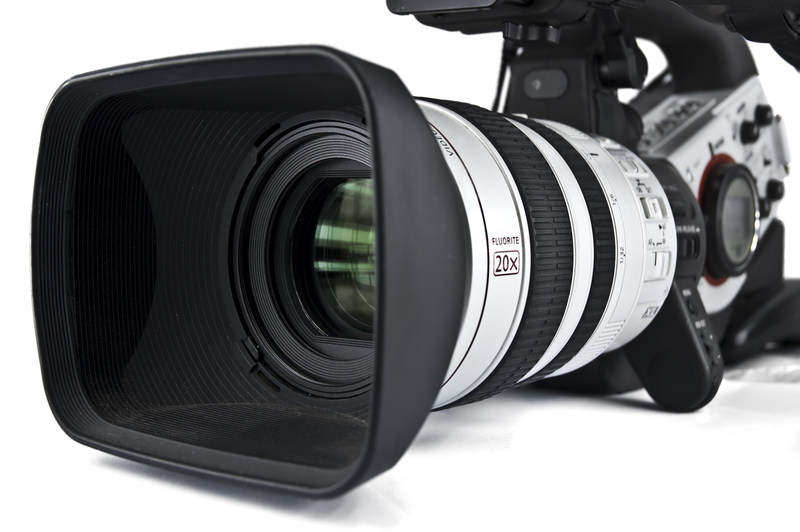 One aspect of broadcast ministry that can easily get overlooked when choosing a new video or digital film camera is the lens. For consumer video cameras, the lens is often fixed, so you don’t have much choice in the matter. For professional video or digital film cameras, a lens can make or break the project, but if you’re not careful it could also break the bank! The quality and optical clarity of the lens is paramount, but you also have to consider the type of lens mount your camera has, and whether or not you require a fixed lens or zoom lens. Let’s break this down to help you make the best decision for your budget. Some important things to look for are the zoom capabilities (if any) and aperture. There are two different types of zoom capabilities: optical zoom or digital zoom. Optical zoom is the preferred choice for houses of worship. For example, If you purchase a lens with an optical zoom, you are in essence magnifying the people or objects you are filming, without distorting the pixels of the image. This is different from a digital zoom. Digital zoom isn’t really a zoom at all, in that it doesn’t magnify objects or people optically. Instead it magnifies the pixels in the image. This, in turn, makes the image fuzzy and soft. For those using prosumer-type camcorders, you may have a combination optical lens with a digital zoom. It is always encouraged to turn the digital zoom off in order to achieve the highest quality of the lens for broadcast. Depending on the size and layout of your venue, your camera positions, and your budget, you may want to consider going with a wide angle lens. TV shows that shoot in NYC are a perfect example. Because real estate is expensive, studios are typically small and jam-packed, so wide angle lenses are used to make the environment look larger. Talent can stand much closer to the camera, yet appear further away. Churches that have a jib or steadicam-type rig often use a wide angle lens to provide greater depth and can give the optical illusion that the space is larger and fuller than real life. The amount of light a lens allows to pass through the to the sensor via the iris important. The size of the iris opening is the aperture of the lens. The wider the aperture, the more light passes through the iris, the brighter the image will look. Less light means a smaller aperture. Lenses typically state the maximum aperture; or how wide the iris will open. You can control the depth of field by widening or narrowing the aperture – wide aperture can make the subject or object well focused, with background objects blurrier; smaller apertures help everything in the frame look more in focus. Aperture is typically measured in f-stops. Dividing the focal length by diameter of the lens will give you the maximum aperture. The lower the f-stop, the wider the lens’ aperture will be. When purchasing interchangeable lenses for your professional camera, you first need to know what kind of lens mount you have. While there are several different types of mounts, the three most common are MFT, B4, and PL. MFT (Micro Four Thirds) lens mount cameras can be a cost effective choice for house of worship broadcast, yet it has it’s disadvantages. The main draw-back? MFT lenses are not par-focal, and have no back focus, meaning the moment you begin to zoom you also have to adjust your focus simultaneously. Churches who have been accustomed to using B4 or par-focal lenses are used to zooming all the way into an object, and if your back focus is set correctly you can zoom out all the way and the subject remains in-focus. This is not the case with MFT lenses. However, if you use MFT lenses around the f2.8 range they can work well to create alternate unmanned angles or static wide shots, especially on a small and affordable camera like the Blackmagic Micro Studio 4K, since it can be hung virtually anywhere. Also if you’re looking for an affordable digital film camera, MFT offers a great selection of lenses to choose from. It just not might be a great fit in a studio setup where a long zoom throw is needed at a lower f-stop to attain the standard tight shot, or if you’d like the ability to zoom during a shot without adjusting focus simultaneously, which is nearly impossible! Another benefit to an MFT mount is that other lens styles (including B4 and PL lenses) can often be fitted to an MFT mount camera using adapters. Some MFT camera manufacturers include: Blackmagic Design, DJI, JVC, Panasonic and Sony. A variety of lens adapters are available from Fotodiox, among others. ENG-style cameras typically have a B4 lens mount, or 2/3″ size sensor, and can capture video in standard definition (4:3 aspect ratio) up to HD (16:9 aspect ratio). Lenses for B4 mount cameras vary considerably, as these are typically the cameras you would see “on the move” – the over-the-shoulder style cameras journalists often use. Many churches who broadcast use B4 lenses combined with zoom and focus controls for more of a studio feel. B4 lenses can be quite expensive because of the image quality they provide, the precision of their manual controls, and because of the built-in servos that power the lens motors, iris control, etc. All the above reasons illustrate why B4 remains the broadcast standard. Arri PL (positive lock) lens mounts are designed more for cinema and digital film styles, developed for 16mm and 35mm motion picture cameras. PL mounts have four pronged flanges, any of which can be used to align the mount to a locating pin 45 degrees clockwise from the top of the camera lens mount. This allows for four different configurations of lens orientation depending on what works best for your houses of worship; for example, camera orientation, focus puller, etc. Once the lens is aligned in the desired position, it is locked in place with the friction locking ring for a strong seal. PL mount lenses are very precise, very expensive, and probably not the type of lens most houses of worship will be looking to purchase for their broadcast ministry. However, PL mount lenses are becoming more affordable, and companies like Arri, Blackmagic Design, Canon, Hitachi, JVC, and Sony offer popular PL mount cameras, and/or adapters for PL mount lenses. As is often the case, you get what you pay for. While it’s much more affordable to purchase consumer ‘fixed-lens’ or prosumer cameras with digital zooms, for many houses of worship this style of camera and lens will not offer the video quality required to run a professional-looking broadcast. If you currently don’t have a budget for brand new lenses and you need to start somewhere, you may want to consider looking at eBay or other online resellers who offer a wide variety of used B4, MFT or PL lenses at affordable prices. Just make sure the glass is free from scratches, smudges, or mold that could affect the viewable image.